One annoying problem with finding hotels is that you cannot look up hotels by the opinions of other users. This leaves you with no choice but to explore the reviews of each hotel and read at least 5-10 reviews to help you make a decision. 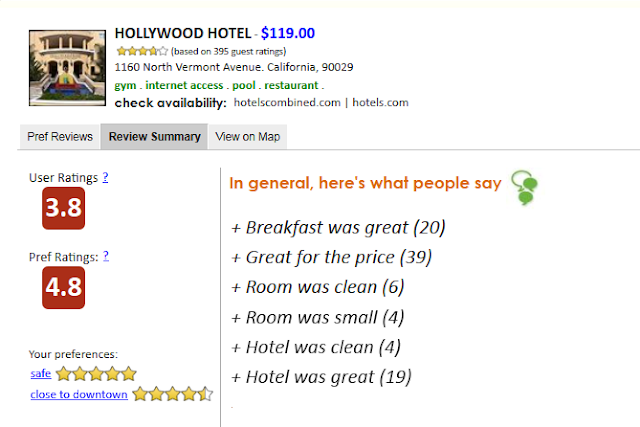 This can often be confusing as you need to keep track of which hotel satisfied which one of your personal requirements.